Want to have fun building your own web applications while learning in-demand skills? Ruby on Rails is a popular development framework used by today’s hottest apps and startups. 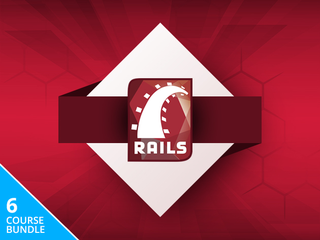 Right now, Lifehacker readers can get this comprehensive Ruby on Rails Coding Bootcamp, featuring 57+ hours of hands-on training, for just $29 (95% off MSRP). Whether you’re a complete programming beginner or are looking to boost your resume with some in-demand skills, you’ll find tremendous value in this 6-course, 57+ hour bootcamp in Ruby on Rails. You’ll learn everything from basic concepts to advanced techniques through hands-on, project based instruction from highly-rated Rails instructors. Best of all, you’ll have lifetime access to all course content so you can learn at your own pace and go back for a refresher whenever you need. The entire bundle adds up to over $1200 in retail value, but Lifehacker readers can save hundreds and snap it up now for just $29 - over 95% off. Interested? Head to the link below to learn more.